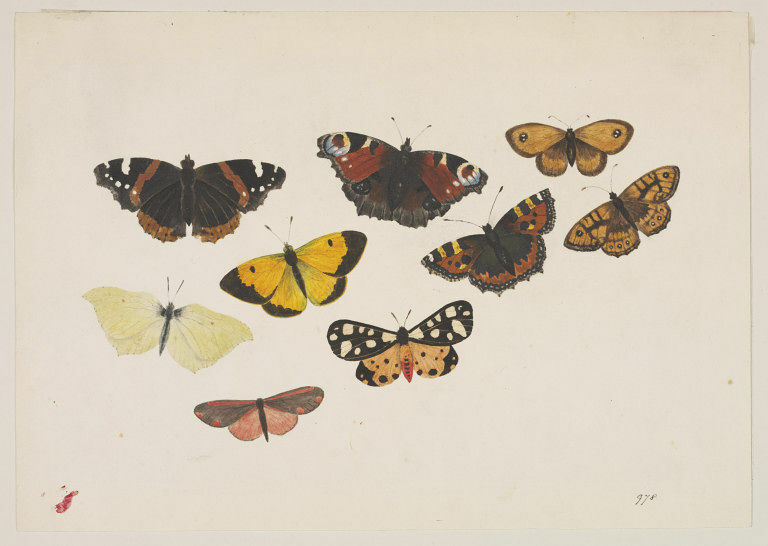 Dyce, Alexander (Rev); Nine butterflies; Watercolour; English School; Early - mid 19th century. DYCE COLLECTION. 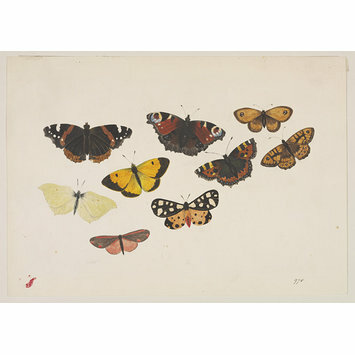 A Catalogue of the Paintings, Miniatures, Drawings, Engravings, Rings and Miscellaneous Objects Bequeathed by The Reverend Alexander Dyce. London : South Kensington Museum, 1874.